There are several canons from ecumenical and local councils (here) that touch on economic matters. A keyword search turned up canons on “wealth,” “property,” “money,” and “usury.” Here are want to look briefly at those mentioning wealth and usury. While I need to do more work on the historical and pastoral context in which they were written one of the things that struck me is that canons are not necessarily antithetical to the free market. This is different from saying that the canonical tradition advocates for a free market; it doesn’t. There is however a fundamental appreciation and respect for private property and on the use of “wealth with justice and with the doing of good” (Canon 21, Council of Gangra, AD 340). We can, and should, argue over the concrete meaning “justice” and “doing good” but clearly the council doesn’t condemn wealth as such. To borrow from St Maximus, it isn’t wealth but avarice which is the sin. The canons on usury are also interesting. Unless he gives up doing so the Canons of the Holy Apostles (canon 44) deposes a “bishop, presbyter, or deacon, who takes usury from those who borrow of him.” Likewise Canon 10 of the Council of Trullo (AD 692), condemns clergy take interest from a loan are deposed “or what is called hecatostæ.” Looking back to Canon 17 from the First Council of Nicea (AD 325), the term hecatostæ suggest that by usury the fathers might have meant “ask[ing] the hundredth of the sum” as monthly interest. 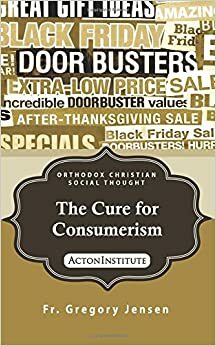 While most of us would like a credit card that charged a simple interest rate of 1%/month, a gloss of the canon from Nicea suggests that fathers likely meant a higher rate. “If anyone shall receive usury or 150 per cent he shall be cast forth and deposed, according to this decree of the Church” (Ancient Epitome of Canon XVII). It is unclear whether this is a monthly or annual rate or simply a straight fee for borrowing money. Whatever usury meant concretely at the time, evidently the bishops in the early Church were not content to limit their moral teaching on economic matters to general principles. They put numbers on the table and condemn specific business practices as unjust or contrary to “doing good.” While I’m neither a church historian nor a theologian, it seems to me likely that at least some of the bishops were economically literate. It also seems to me that at least some were familiar with the business practices of their day. Yes they condemn usury but the canons cited don’t reject charging interest. Just as married life requires that the couple mix their labor with the material world to create the wealth needed to fulfill and to establish a home “built in the name of God” (Gangra) there are times when borrowing and lending money are necessary for the economic life of a community. This might be why Nicea doesn’t condemns interest payments as such but a very specific interest rate. Finally it seems to me unlikely that this was simply an arbitrary figure. Given the specificity of the canon it likely reflected an abuse of what was an otherwise acceptable practice leading credence to the possibility that economics the bishops understood business.